Nar is one of the villages of Panch Gam Gor. Nar is located in Sojitra Taluka of Anand District, Find out interesting history and established informaiton about Nar town. There are three monuments in memory of warriors. One is located on the road to Khodiar Talav, second on the west bank of Malav Talav and third near the high school. The one near the high school has an incription "Samvat 1765, Jain Sud 7, Tuesday"
Nar is located at 22°28' North latitude and 72°71' East longitude in the Anand district, Gujarat, India. 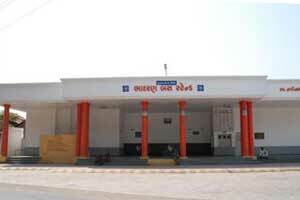 It is located along the Western Railway’s Anand-Khambhat rail-line. There are two folktales about the existence of Nar. According to the history about Jains, Navdhar, of Maurya Dynasty, established the town in Vikram Samvat 203, Chaitra Sud 2, Thursday. Another folktale indicates that original name of the town was Narangpur which was established by Narsingh in Samvat 802, ie thirteenth century. Mojority of the population of Nar consists of Patidars. Over hundred Patidar families follow Jainism since last five generations. In Samvat 926 Rangba, daughter of Vaccha Patel married Sarbhanbha Desai of Savli. Patels of current six Khadkis (family house) are the descendants of Dhanabhai Patel. 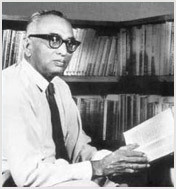 One of the prominent names of Gangadas who is remembered in the region along with Vir Vasandas of Virsad. In Samvat 1757, Bhagwandas, son of Narerdas and nephew of Gangadas married Taraben, daughter of Vir Vasandas. 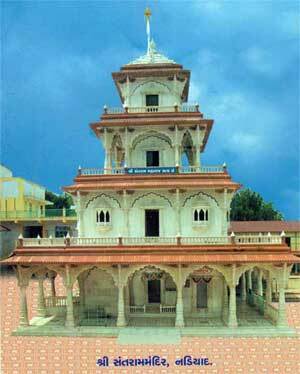 In 1782 Taraben, Shiv follower became a widow in 1782 and built a Mahadev. Later Mahatma Gandhi’s Statue was installed near by. 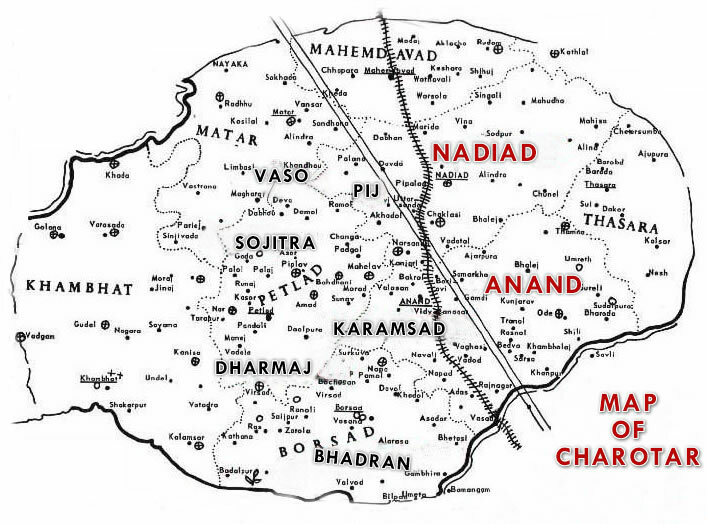 During this period then known as Narangpur was ruling the surrounding 49 villages. Based on discovery of some remains, it is believed that there was a fort. 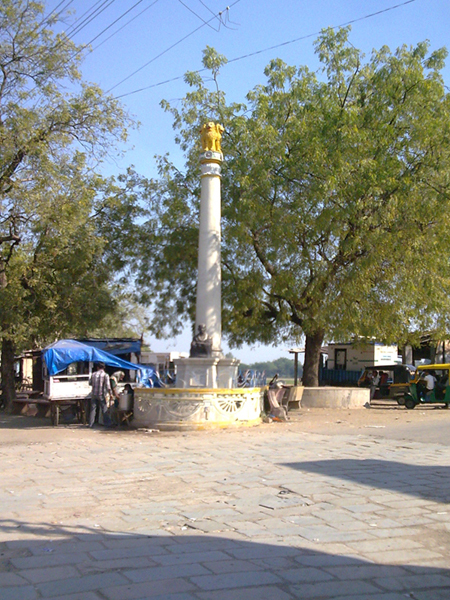 Mahot Patel was the administrator of the town but was ruled by Kshtriyas. Gangadas and Narerdar were also leading figures during this time. When the Kshtriyas murdered Mahot Patel, Gangadas pleaded the case to the Governor in Ahmedabad. The governor issued an order to punish the culprits and Mahot Patel was cremated on the bank of river Vatrak. Gangadas was saddened at the merciless killings of Rajput families by the Governor’s army and intervened to save the children and women with the help of Narerdas. Gangadas later took control of the town to establish peace but himself murdered in Agra. The King in his honor in Agra built Gangeshwer Mahadev temple. Nar is unique in a sense that it had erected three statues of national leaders almost 50 years ago! Sardar Patel statue is at Malav Bhagol , Gandhiji statue is at Shri Dahiben Public Library and Shri Jawaharlal Nehru statue at Vad Talav across the B.R.L. High School. I LOVE MY TOWN MY NARTOWN. I like naar...we realise the native when we are far from it. When my dad use to take us naar..i reject to go. I wish to go and remeber my spent days.. Need contact for surpanch of Nar and trustees of Khodiar matador temple. I love my Nar and proud to be I grew up in Baroda but I miss Nar one thing never forget your native land no matter where you are in the world our coutry is our country and our town is our town I miss lot. Hi all Nariya. Today I was present at the opening ceremony of your Newly Built Marriage Hall,Party Plot and Guest House. It has been constructed world class. Kudos to all Narkar. I love My gam   Nar.... Narnagar!!!! Once there was time I hate my gam because of immature age and watching dirty roads and undeveloped town ... lots of animal and no ruling... Also as I born and stay in Ahmedabad I was in very little touch of my own gam. My impersonation is that my gam dont developed as compare to other charotar gam due to peoples egoism. I dont like people fighting to satisfy their own ego. Note:- How can I get the names of my Dada and Vaddada.... back till I can reach...... !!!! i love nar. i always love my village and it is better than any village.